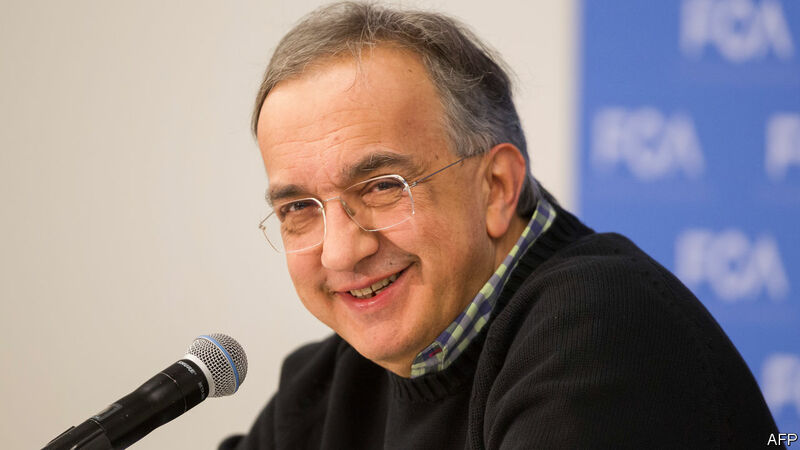 THE question of who would replace Sergio Marchionne has been in the air for a year or more, ever since the boss of Fiat Chrysler Automobiles (FCA) announced that he would step down in 2019. But the way the answer came was both shocking and sad. Complications after a routine operation around three weeks ago have had a devastating effect on the health of the 66-year-old, who was hard-working even by the standards of big-name CEOs. Not only will Mr Marchionne leave the helm of FCA earlier than planned but he will also quit as boss of Ferrari, a sportscar-maker, which he had been expected to lead until at least 2021. A sudden deterioration in Mr Marchionne’s condition forced FCA’s board to meet on July 21st to confirm that Mike Manley, boss of the Jeep brand, would take his place. Replacing someone who is regarded as one of the all-time stars of the car industry is a tough job.